Hey Belle Boutique, Established in 2015, is dedicated to bringing fashion online to each of you sharing their love of "Southern Charm" and hospitality. Laurie Riley and her daughter, Olivia Haines own and operate this unique women’s clothing boutique nestled in the heart of their hometown, Springfield, Tennessee. You can find them in the 638 Building on the corner 125 6th Avenue West and Locust Street. 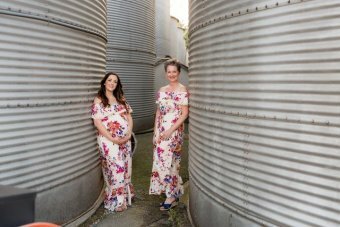 With farming being a great part of their heritage, they were blessed with the perfect name “Hey Belle” to bring meaning to their customers as they provide a unique service of fashion consulting and etiquette. We pride ourselves first and foremost on providing affordable, quality fashions and complementing each with the perfect accessory, including jewelry, scarves, shoes and more. Our inventory includes on trend fashions, denim lab, formal and evening wear. Something for tweens, teens, college and career women. Hey Belle Boutique ensures you are always ready with the perfect transitional fashion for "Tennessee Weather". You can always find just what you need when getting ready for that special date or gearing up for a family vacation. Introducing the Loft at Hey Belle where you will find designs by Chantilly Belle designer from the Philippines. Here in The Loft we can fit you for wedding, prom and other social events. We are a vendor for Jim's Formal Wear providing you with the latest tuxedo and suit rental or purchase.